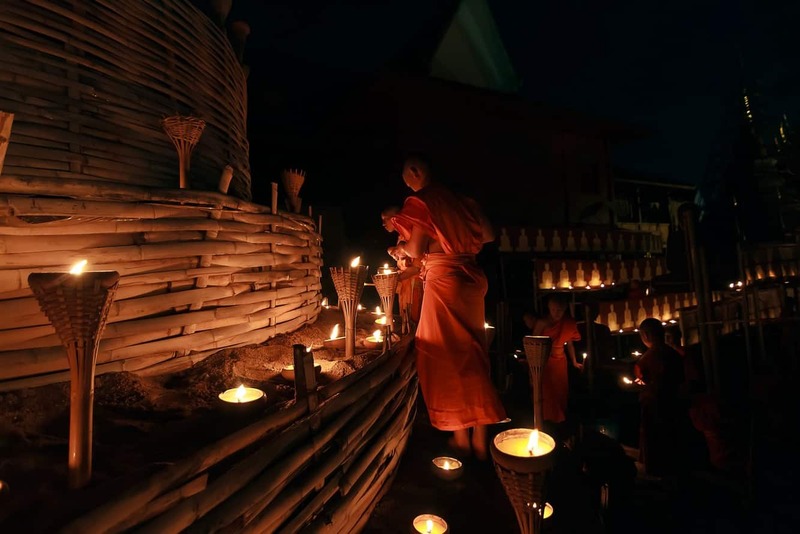 Visakha Bucha Day is an important Thai festival marked on the full moon day of every sixth lunar month which typically falls in May each year. 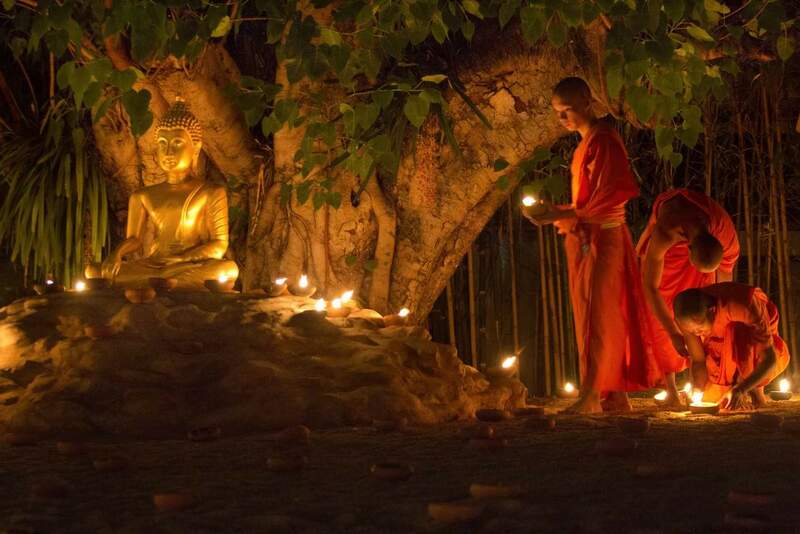 The day marks three key events in Buddha’s life: the birth, enlightenment and death of Buddha. 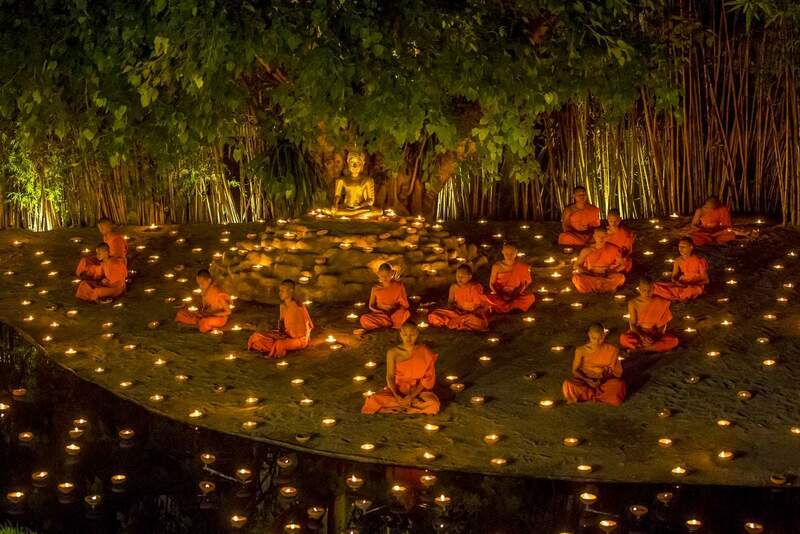 The most critical aspect of Buddhism is the enlightenment of Buddha. 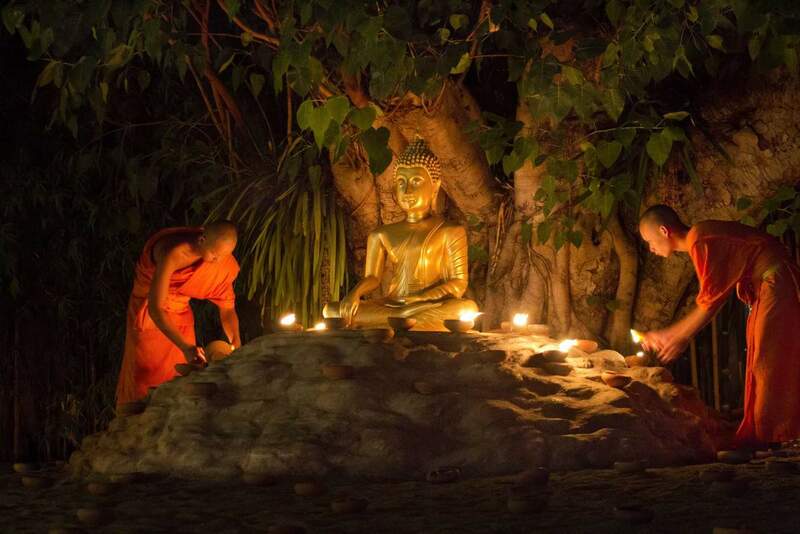 Devout locals believe that Buddha found answers to life’s questions at the age of 35. 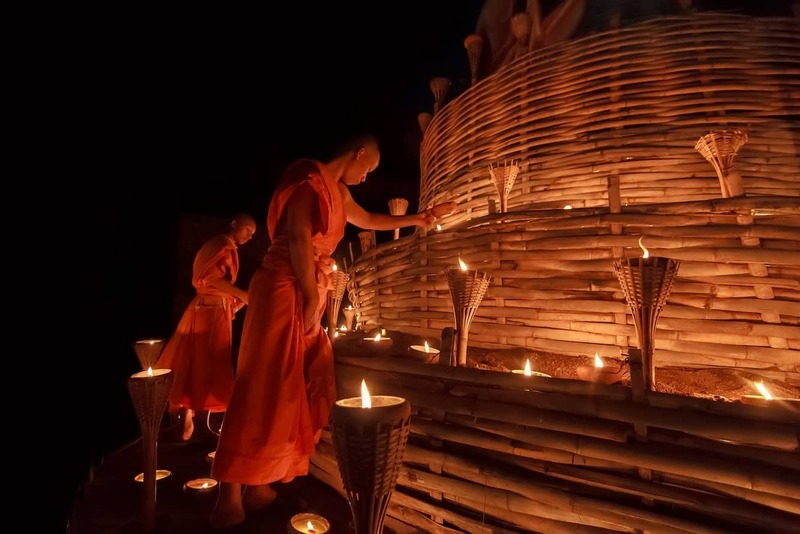 He then created and taught the principles of Buddhism until his death at 80 years of age. 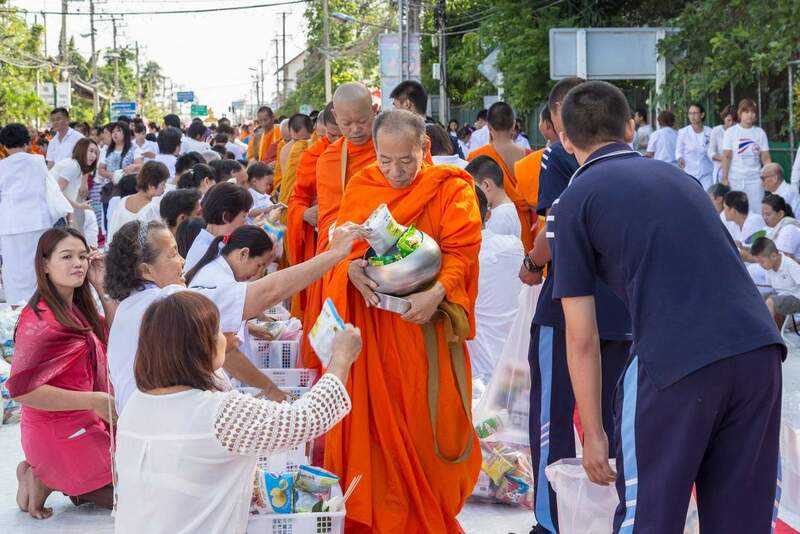 This day is of such importance to Thai people that it has been designated as a public holiday. This means that many shops and attractions may be closed on this day and alcohol sales may be restricted. 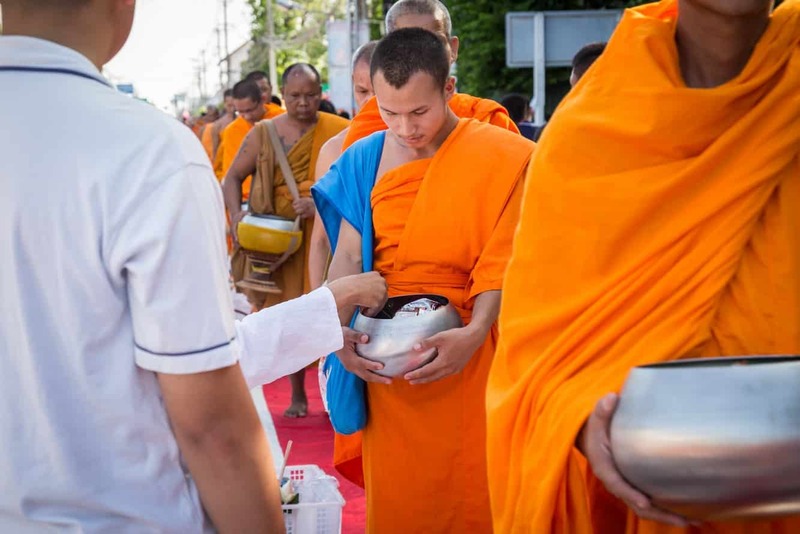 In Chiang Mai, Visakha Bucha Day is celebrated by many local people walking up 11kms to the summit of Doi Suthep Temple. You will see nearly 10,000 people make the climb up the mountain. Many people start the night before or just after midnight in order to reach the temple as the sun is rising. 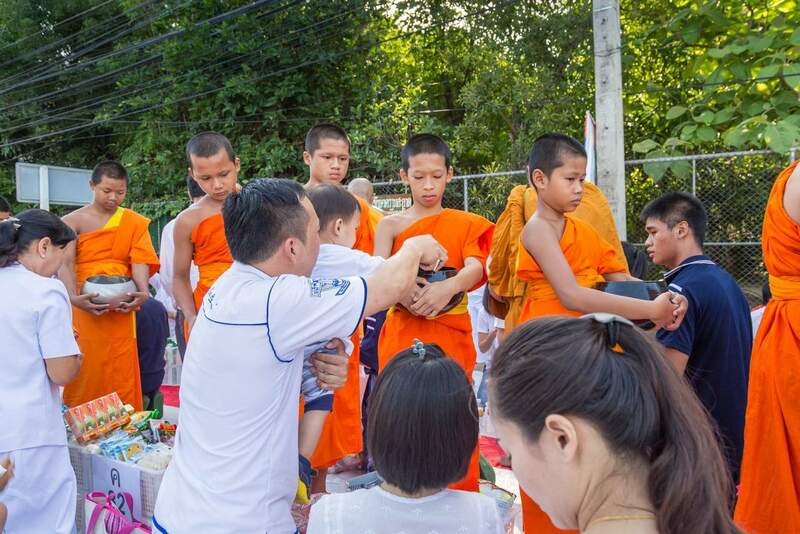 If you choose to take part in this religious celebration, make sure to dress appropriately and cover your knees and shoulders once at the temple. Official Celebration Day: 11km overnight trek up Suthep Mountain. 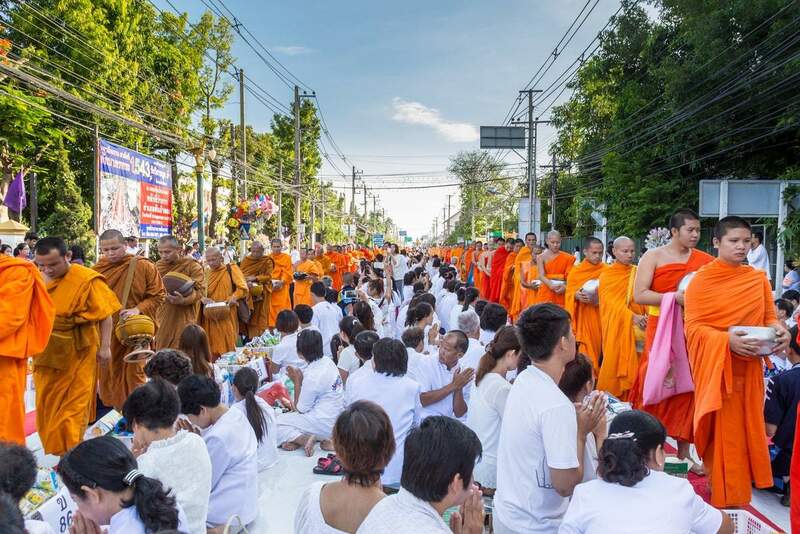 Starting in the evening at the Kru Ba Srivichai Shrine and arriving in the early morning. 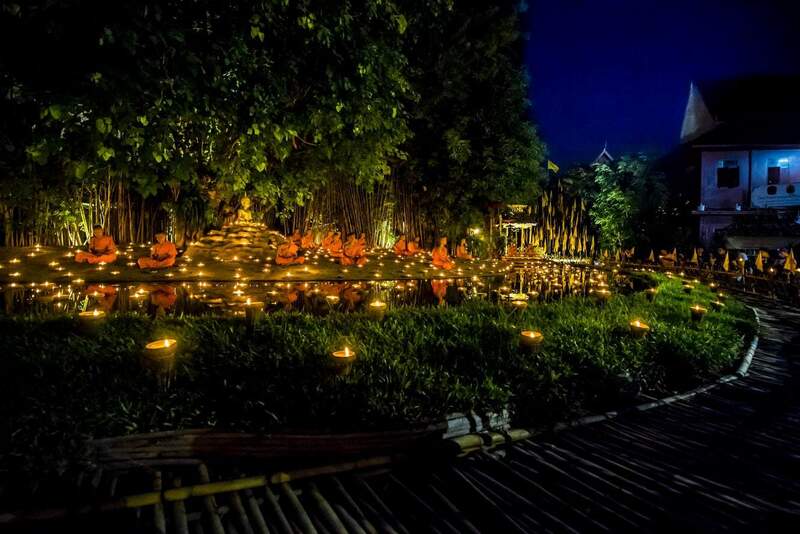 • 7:19pm: religious ceremony with monks. • 7:59pm: parade procession up to the Doi Suthep temple.